"You'll have to stay calm and think fast to win this highly addictive puzzle game. 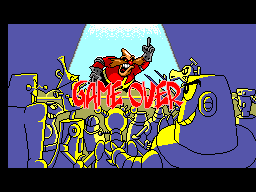 Play against a friend, or slam Dr. Robotnik's evil henchbots in the competition modes! 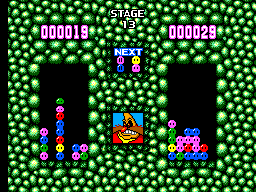 Pit yourself against the timer, or try the Puzzle Mode for a special challenge!" 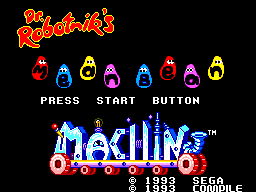 This will enable you to go directly to Dr. Robotnik in the scenario mode. Be careful, game play is as fast as it gets at this point. At the code screen, input the following: Yellow Bean, Red Bean, Green Bean, and Blue Bean.